While thinking about gear for Alaska my mind wandered …gear and fish boxes…meh my hands had only motivated enough to prep a new growler from North Park Brewing Company which opened up about 200 feet away from where this was written (home). The new Growler was not for Alaska but that is more the point…. I hadn’t done much ‘getting the gear together’. I do really like stainless gear because its shiny (oh look! Shiny!) and semi-non-staining/corroding properties. This post is not about any of those things and I am easily distracted by tasty libations. I battled a sticky suction cup spring loaded phone holder for years. It did long and honorable duty holding three Galaxies in the wrong place each; occasionally pushing power or volume at inopportune times. Eventually the second law of thermodynamics was proven. All things in nature decay. The sticky suction cup gave out. This left me with a gaping hole in my ability to drive un-distracted. (so dramatic!) Also, left me with a ring of dried sticky smegma on my windshield that is still there to this day…where is my razor blade damn it! Similar magnetic properties attract me to the growler…wait this is a magnet! Wait!!! 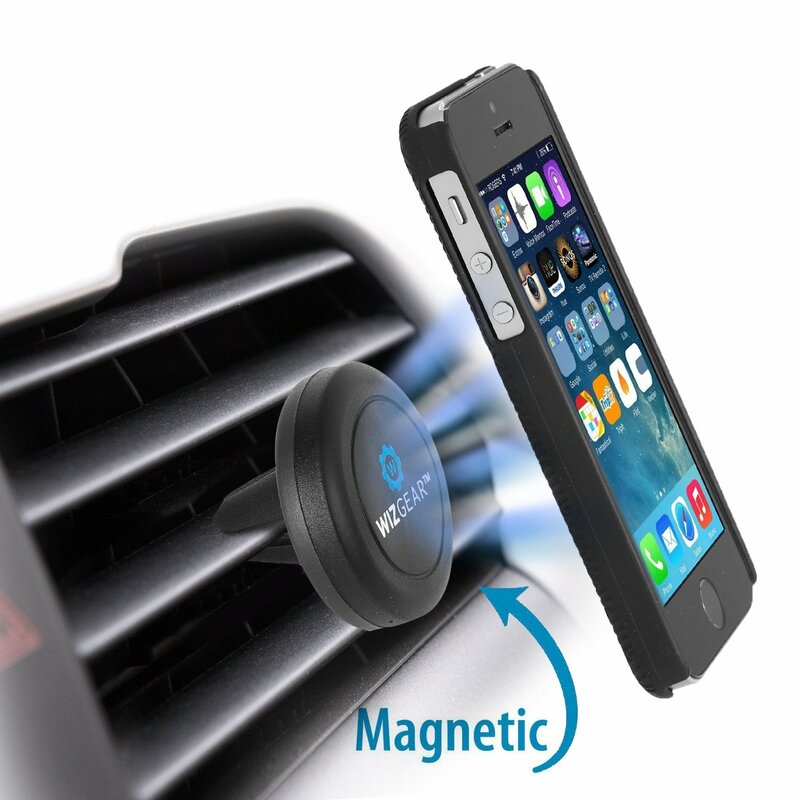 I don’t want a magnet near my phone! Not a problem (you might say). A metal plate goes next to the phone. You can peal and stick, or since you all have cases like the Urban Assault Gear case (three phones no damage) to keep you from damaging your phone when you try to catch it with your foot and end up kicking it across the parking lot, you can just slide the metal plate under your case. 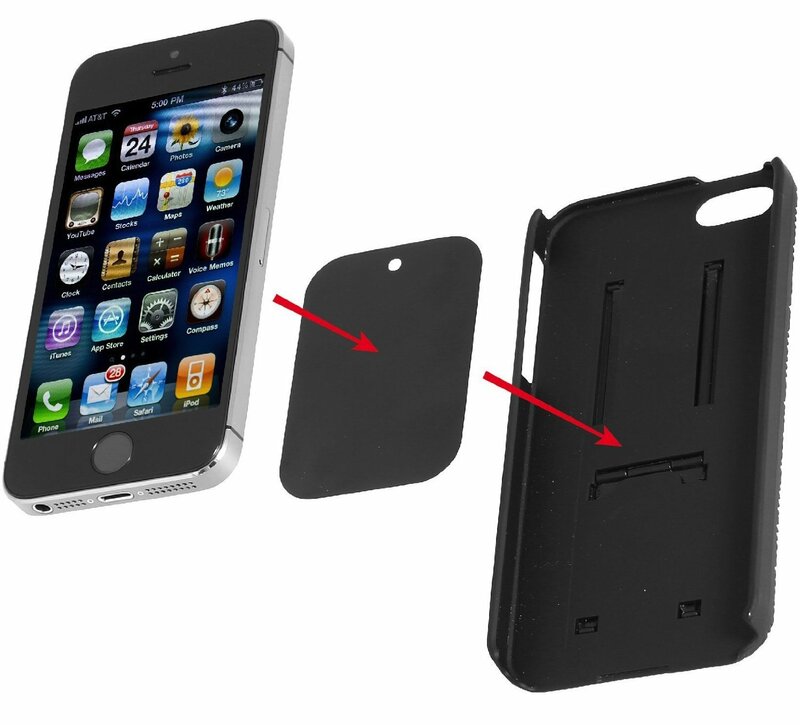 Slim, invisible, no clunky thing on the back of your phone case. How does it work. Press the magnetic bit onto a vent (you lose a vent; deal with it or better yet put it on your passengers vent and they can deal with it) then just throw your phone at the magnet and it sticks! Viola! Unless you are super excited about the magnet like, I was, you will not be distracted anymore and will have an elegant solution to the ever pressing bane of the world; car mounted telephone holders. Best yet! It’s less than $7 on Amazon and won’t leave a ‘goo ring’ on your dash/window. The vent press on fingers are two sizes so if you have large louvers (lol) turn it 90 degrees and use the wider finger grippers. I have scheduled this to post at the exact moment I believe I will be driving around Turnagain Arm because I plan to take this powerful tiny dynamo of a phone holder with me. Totally portable to any car without the arse pain. Small and useful to keep my Phone/GPS/WAZE where I need it to spot road condition issues, weather, and speed traps :). WizGear has other phone holders that use similar magnets. If you don’t like the vent ideal check out those solutions here.